Interested in local locksmith services in Miami Beach? We’re highly trained, extremely reliable but most of all we know the area inside and out, and our locksmiths will be happy to help with any security recommendations you might need. Home owners, property managers and real-estate agents- get all the services you need under one roof, 24/7, with the best locksmith Miami Beach has to offer. All our work and locksmiths are insured and licensed! Your car is sometime your office, your morning hangout spot or even your 'on the road baddy' so it's understood you'd want it safe and sound. We get out instructions directly from the manufactures and we provide locksmith services much faster than your local dealership. Almost no business / condominium / large real estate can manage itself these days without an overall look. The CCTV security allows you to stay in control and connected 24/7, whether you're in the premises or via remote- you always know exactly what's going on. Rewind, pause, close-up detailed info at your disposal at all times. 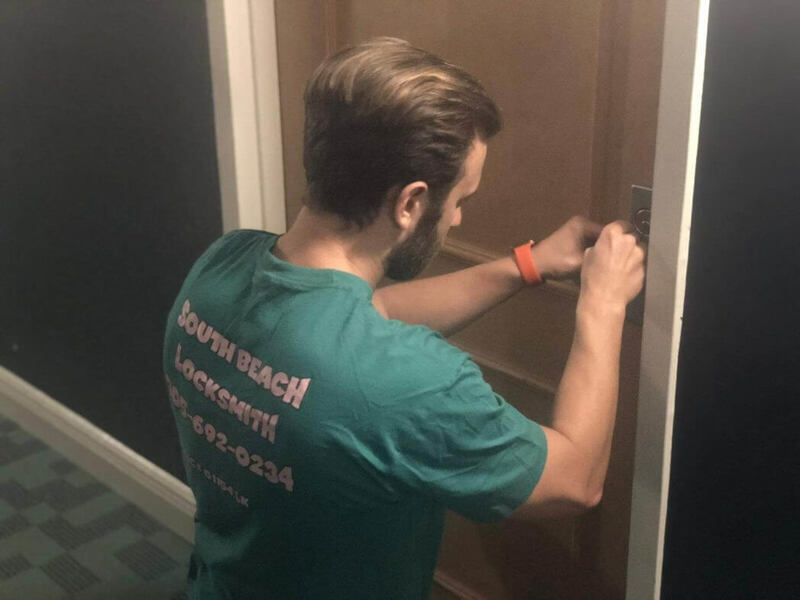 Our range of professional expertise, alongside out great familiarity with Miami Beach makes South Beach Locksmith a highly intelligent service to work with. We're the kind of service you can trust without hesitations; the best prices for leading brands' locks, security systems, security cameras, 24/7 services and highly reliable, certified professionals at your disposal. Middle of the day, Miami's sun in its finest our and you're locked out of your car- hold on, don’t go breaking any windows just yet! Just call the greatest locksmith in Mimi Beach. Our mobile locksmith units are waiting for your call… we'll be there in less then 15min to fix and stubborn key or noisy security system! Any time, anywhere in Miami Beach, we offer the best local locksmith services around! Don’t waste any time, give South Beach a call and we'll dispatch a locksmith mobile unit your way. As the local locksmith service in Miami beach, we know there's great wealth near the cost line, problem is… we're not the only one who noticed it and the best way prevent any unfortunate mishaps is to stay safe and use, you gassed it- a safe! 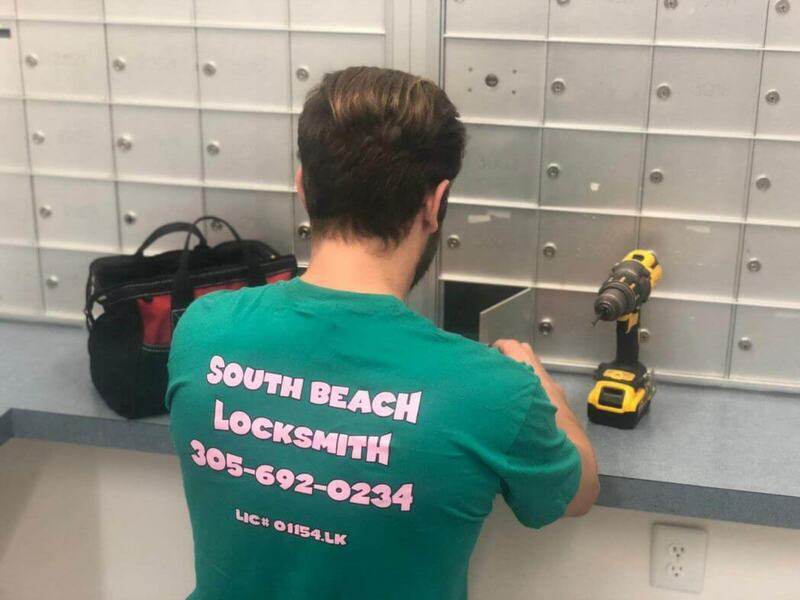 Here at South Beach Locksmith we know the sun is always shining, the tourists are around all year long and the local community lives its life with the best scenery the town of Miami has to offer. Our duty is to make sure all this blissfulness is safe & sound, 24/7! The best local locksmith services you can find around Miami Beach: cost-worthy prices, 24/7 support (remote & mobile), all the leading security brands. Skilled professional locksmiths- with our craw on your side you always feel secure, even during emergency we repair, replace and restore your safety! We take our roll as the leading local locksmith service very seriously and we have strong ties in this community, when you call us you get the best locksmith in Miami Beach and we have no plans to slow down any time soon. Our knowledge and expertise are at your disposal, and luckily for you- we’ve gained lots of it! 15 Minutes And We Are There. Find Our Nearest Locksmiths Technicians In North Bay Village, 15 Minutes And We Are There. Find Our Nearest Locksmiths Technicians In Indian Creek Village, 15 Minutes And We Are There.